Eliminating Self-Stigma is a must! There is so much to comprehend when you receive a mental illness diagnosis. Not only do you have to learn about the illness and subsequent treatment options, you may also get exposed to stigma. Sometimes stigma is from other people and sometimes it is from yourself. When I first learned about mental illness stigma I was about twenty years old. My mother had struggled with bipolar disorder and ended up having a psychotic episode. It didn’t take long for some family members to treat her as if she was an outcast. The invitations to gatherings ceased, as did their phone calls. I immediately understood I wasn’t allowed to talk about her episode because I feared what people would think and say about her. It was all supposed to be a secret undermining everything that was natural about wanting to have compassion and support through a difficult time. By the time I was diagnosed with bipolar disorder I had experience with external stigma, but I was introduced to self-stigma. 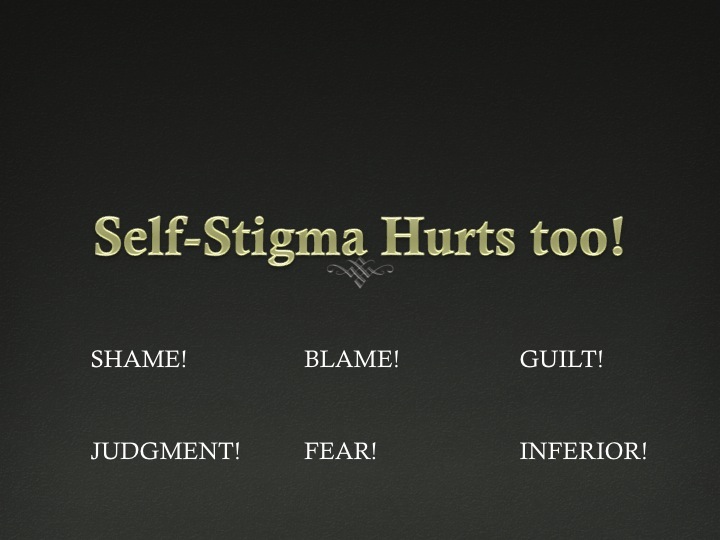 I have had to fight through many aspects of self-stigma. Sometimes I have tortured myself with tremendous shame, blame and guilt all because I now carried a “label” of bipolar disorder. For many years I did not have a name for self-stigma. It wasn’t until I started researching mental illness that I realized I had fallen victim to the stigma cloud. All of the sudden I had an answer to why it was so difficult to accept a diagnosis, much less treatment. The strange thing I found was it was much easier for me to support family members who had bipolar disorder than it was for me to accept it myself. It seemed as if I didn’t want to be included with a group of people who suffered with not only a mental illness, but also the prejudice and discrimination that often comes with it. Little did I know that the number one person who was discriminating against me was looking back at me in the mirror. I had to learn and re-learn how to be kind to myself while I was learning how to manage the many symptoms of my illness. It has taken me many years to accept my illness as something that was outside of my control. Even now there are days when I catch myself going down the, “I’m lazy path” when I experience depression symptoms. I know better now. I accept the fact that I am living with a severe illness. But even so I continue to fight the hangover effect of self-stigma. This is where the fine line between self-stigma blame and self-care begin to collide. I don’t want to blame myself, however, I do need to recognize what I can control and what I cannot. For example, “I can control being adherent with my medications. I cannot control how the medications work in my body.” “I can control what time I go to bed at night. I cannot control unwanted depressive symptoms that cause me to sleep for 16 hours.” You get the idea. Self-stigma is sneaky. It creeps right into your mind when you least expect it. 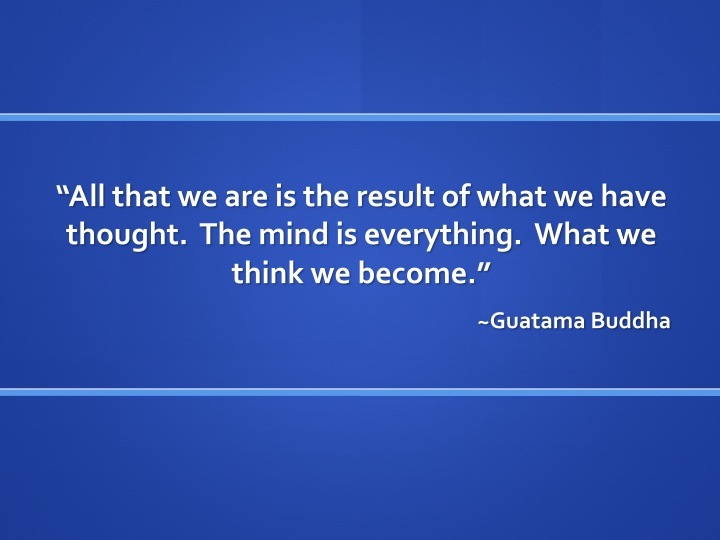 Be on the look out for unwanted thoughts that do nothing but claw away at your self-esteem and confidence. There is no reason to shame yourself for having a mental illness anymore than you would shame yourself for having cancer. Hopefully the more you are aware of self-stigma, the easier it will be to recognize. There are plenty of obstacles in the way of recovery, why not remove one you can control? I am not a failure, am I? Does having a mental illness make you feel like a failure? As much as I know I am far from a failure I still have my moments when I look at former colleagues and think, “What the heck happened to me?” Of course I know exactly what happened—mental illness dropped on my doorstep and interrupted my life, as I once knew it, but sometimes I have to remind myself of this fact. Believing we are failures because we have a mental illness is really part of self-stigma. It’s fits right under the category of blaming ourselves for having an illness. I suppose it is in part a way to try and make some sense out of various behaviors and in an effort to take back some control over the situation we point our fingers at the person looking back at us in the mirror. In times when I am suffering with a depressive episode I shame myself into believing it’s my fault, as if I really have any control over the illness. The shame makes the situation far worse and really adds to the bad feelings I already have about myself. I made a point to stop the shaming the last time I was sick. It’s already hard enough as it is to get well again but I learned I needed to be a better friend to myself. I’m sure not everyone who experiences a mental illness has felt like a failure. But I am willing to bet many people have and I want to speak to those people. I want to tell them to lift up your head and hold it high; hold back your shoulders and walk with confidence; start believing you are so strong because you have faced off with adversity and you have won; you are a valuable member to the community; and you will find your way to recovery. Above all you are not a failure. Mental illness can cause so much pain and many personal struggles. I have learned that I cannot give it any more power over me than what it deserves. I have approached it in a way that says, “I have a mental illness and it’s not my fault, and I’m going to pick up the pieces and move forward with my life. No mental illness is going to stop me from living a healthy, happy and productive life.” It’s my mantra and I believe it! I recently read a blog by Natasha Tracy, which was titled Do the mentally ill have to be extraordinary to be accepted? She makes several points about how most people with mental illness are simply average, everyday folks trying to get along in this world. Not all of us are off the chart creative artists, famous world changing researchers or Nobel Peace Prize winners. 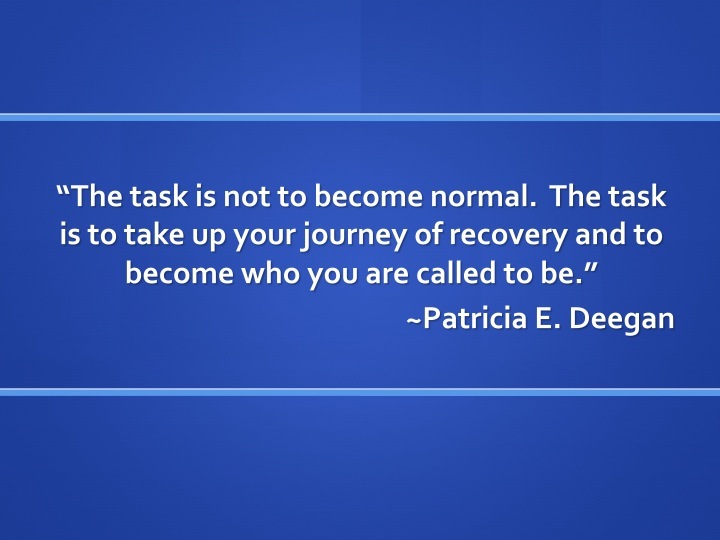 We are simply “normal” people who happen to have a mental illness. If you think about it, it’s kind of a shame that we have to put people on a pedestal to find some kind of acceptance. I think it falls right in there under the good ole’ stigma category. If we aren’t exceptional than what is our value in society, after all we have a mental illness. Oh my, so taboo. It makes me sad to think about how common mental illness is and how we as a culture still fail to realize this fact. Consider that according to the National Institute of Mental Health over 57 million people suffer with a diagnosable mental illness each year. I’m sure you’ve seen the statistics–about 1 in 4 Americans have a mental illness. Mental illness is common—yes. Mental illness is a gift—far from it. I’m always amazed at how people find ways to accept they have a mental illness. It is not my place to judge others, but if I am voicing my own opinion I would be hard pressed to ever find any illness as a gift. I think of things like, suffering, symptoms, a lifetime of medication, doctor visits, therapy, significant losses, and I just shake my head knowing there is no way I could ever be grateful for having bipolar disorder. I believe accepting yourself exactly how you are is far more important than getting on the band wagon to appreciate mental illness as a gift. I accept myself for who I am and I accept that I live with a mental illness and believe that I am no lesser of a person because of it. It took me a long time to get to this point. But nowhere along the way did I ever pay some kind of tribute to living with a disease. It’s just not logical. 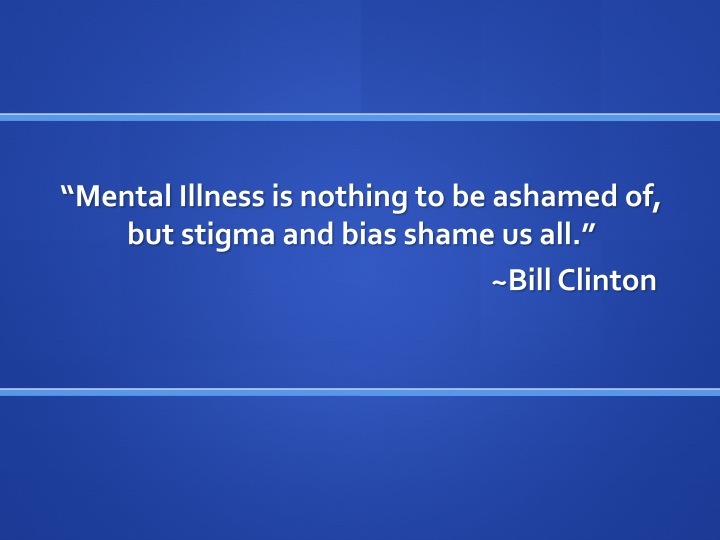 What would it mean to have a society where mental illness has no stigma? First of all it would mean equality. Years ago when I took disability leave for a severe bout of bipolar depression the company I was working for took it upon themselves to fire me while I was on leave. Would I have been fired if I was out for cancer treatments? Maybe, but it would have been perceived as being very cold-hearted. It’s almost acceptable to fire someone who goes on leave for a mental illness. Who expects us to recover and live healthy, happy and productive lives? Losing my job a week before Christmas and in the middle of a major depressive episode, my state of mind became even worse. It was as if I could not get a break anywhere I turned. I don’t know why they really fired me, but the evidence pointed to the fact I had written an untimely email and copied the CEO telling them I was suffering from a bipolar disorder episode. In my “right” mind I would have never written the letter, let alone sent it to the CEO! But I didn’t get any leeway even though they knew I was suffering with a mental illness. I had been in the business for 16 years and had a very successful career, except the last six years had been really hard because of my mental health state. If I could have taken the time off I needed to get well and not have felt any repercussions from it I may have been able to continue working in the field I developed an expertise in. But this is not how things turned out for me. Stigma impacted my ability to stay gainfully employed. When something like losing a job because of your illness happens it’s really easy to blame yourself for having a mental illness. We are already taught that we are “less than others” because of our conditions. Very often we are left off in the emergency room for treatment and don’t see a loved one again for several days. Going to the psych ward is perceived as an embarrassment and an experience not too many want to talk about with others. The stigma of mental illness effects whether or not people get treatment, because the very treatment we seek is entrenched with stigma factors. Having no stigma would mean some people would not be able to make jokes about people who were suffering who were “crazy.” It would mean we would take care of those who had mental illness in a compassionate way with enough resources available so people could get the treatment they needed. No stigma would mean we could keep our friends who would have a general understanding about what we were going through. They would not be afraid to interact with us and would look at us with the same respect they once had before we were diagnosed. The dynamics of relationships would not change to the extent that our friends no longer wanted to interact with someone who had a mental illness. We wouldn’t feel as if we had a plague and people wanted to distance themselves from us. In a world without stigma the general population would understand mental illness was not just a disease of the poor or homeless. They would know mental illness can affect every socio-economic class regardless of education or income level. Finally, a world without stigma would mean greater research dollars would be allocated to find cures and better treatment. We would not have to gain 60 pounds with medication trial and error. 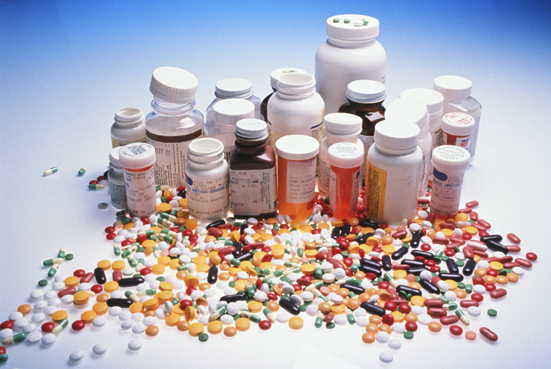 We could take medications without feeling like a “zombie” and continue on with our daily lives. Symptom free would be the expectation not a far off hope. Knowing the treatments would work would give us all a greater sense of relief and confidence to move on with the rest of our lives. I hope I’ll see the day when the stigma surrounding mental illness is something we talk about from a historical perspective and when we do we all shudder to think this is how we treated a large percentage of our population who suffered with these illnesses. Society will one day be ashamed at how they acted. One day the days of mental illness stigma will only be a memory. Ever since I was diagnosed with bipolar disorder I have lived with different degrees of the illness. Sometimes it has been a debilitating disease rendering me incapable of doing anything on a functional scale and leaving me to pick up the pieces and put my life back together. At times I have had successful treatment and was able to live a relatively “normal” life. Then there were times when I lived in denial not wanting to accept I had a mental illness. Most recently I struggle between feeling good and fighting the depressive episodes which leave me unable to function and steal my days away. It seems there is always something I have to fight for—whether that is sleeping off the medication side effects or fighting to not believe the lies depression tells me—I am always in a battle with this illness. At the same time, years ago I would never have blogged about mental illness much less be willing to talk about it. I had so much self-stigma those close relatives like–shame and blame—and I had zero compassion for myself. At least today I have learned to treat myself better. Everyday I express myself I gain a little better understanding and give myself the gift of compassion. I think a lot can be said for eliminating negative attitudes toward people who have mental illness. There is so much we have to go through on a daily basis—the last thing we need is to have to deal with stigma on top of everything else. But from my personal experience the worst kind of stigma is self-stigma. One step I am taking is to remind myself everyday I have got to be kind to the woman in the mirror. I have had to learn how to be nice to me because how can I expect others to treat me differently if I don’t treat myself well? As the old adage says, “treat people the way you’d like to be treated,” and for me that means being nice to myself and forgiving myself for having a serious mental illness called bipolar disorder. Living with a mental illness means so many things to so many people. I believe it is in part about battling the symptoms of bipolar disorder and winning the fight I can win against self-stigma one thought at a time. I know the illness is not going to go away, but I can guarantee self-stigma can be cured. I Live with a Mental Illness…OK? I want the day to come when it’s completely acceptable to say I live with a mental illness. It’s ok with me that I say I live with bipolar disorder, but what about all the people out there who have preconceived notions about what bipolar disorder is? What about those who think having a mental illness makes me “less than?” What if I lost my job because I said I have a mental illness? What if I was ridiculed for identifying myself with a group that is so entirely discriminated against? Well it’s just not ok to say you have a mental illness. It’s as if you are putting a Scarlet Letter on your forehead that opens you up to judgment and ridicule and ultimately “what will they think about me.” Or am I being the one who is carrying self-stigma to the party? Is the fact I know stigma exists one of the reasons why it has any power over me in the first place? I don’t know all the answers to those questions. What I do know is that my confidence and self-esteem have been affected because I have been sick and had to recover. In that recovery process I have chosen to redefine my life into two separate lives—1) before the illness and 2) after the illness. The hard part was coming to terms that my life changed so dramatically after being diagnosed with a psychiatric illness. Even more specifically, my life did indeed change because I became ill and there is no way to sugar coat it. As I go through the various stages of recovery and acceptance for “what is,” I often look for perspective—ways I can compare my onset of illness and the way perhaps a physical illness might have effected someone I know in a similar fashion. I know of a man who goes to the gym I work out in and he was left partially paralyzed after a stroke. He used to be a fitness buff and still finds the strength to come to the gym several times a week. Even though he is physically disabled I am still amazed by his inner strength. And yet I see the sadness in his eyes as he struggles to ride the bicycle, something that is relatively easy for me to do. His physical struggle is obvious. My mental struggle is something I can most often hide or at least I think I can hide. What we have in common is the ability to remember what it was like before an illness came into our lives and changed the course of our life. Yet I know comparing life before and after gets to a point where making comparisons are no longer helpful, they are counterproductive comparisons and only hinder recovery. At the same time, it is helpful to be brutally honest about where you are on the road of life. I’ve decided that it was time to reinvent myself by making new dreams and focusing on goals that I can achieve. Basically redefining my life in the present with all my circumstances considered. So that leads me to where I am…blogging about mental illness. Hoping for a day it becomes socially acceptable to say “I live with a mental illness” and that does not make me any less of a person, if anything I’m a stronger person because of all my experiences. But I’m not going to wait until someone says it’s ok to talk about it, I’m going to talk about it long before the general population agrees with me. The truth is eliminating stigma does start with me and knowing that answers a lot of my questions. Mental Illness Isn’t Gonna Beat Me! You have to fight to beat mental illness. There’s no other way to put it. Such a charged topic and misunderstood illnesses all the more reason to fight for survival. Several months ago I was talking with my therapist and I made the comment, “I’m taking my life back. I’ve got to fight but I’m gonna win. I will beat bipolar.” Even saying those words gave me a feeling of empowerment. A new vision for how I was going to live. I realized I’d been giving bipolar disorder so much power over me. The complexities that seem so cut and dry cut deeply into my psyche. The process or map to good health seems so linear and simple. For example: 1) get a proper diagnosis; 2) work with healthcare providers; 3) get the right combination of medications; 4) recover and 5) live happily ever after. But overlay STIGMA on top of every step and all the steps become even more intense. Add a pound of grief for all the things on life’s path that changes when a mental illness diagnosis drops on your doorstep. Think about how devastating it is to have every major aspect of your life impacted. For example-your social, vocational, hobbies, financial and anything else you can think of. Now try to get well in the midst of all these life changes that came about because you got sick. In spite of all these obstacles eventually I made up my mind I wasn’t going to let bipolar disorder beat me. How was I going to win? 2) I stopped blaming myself for losing friendships. It took a great deal of time but I realized there was nothing I could do to change the past. Although I would have loved to have maintained friendships that I was only one part of the friendship and I happened to get sick, which was not my fault. 3) I started thinking I could help others. I realized there was something I could do to help other people who may be struggling personally or who may have a family member who was struggling with similar things I had experienced. So I dusted off my computer and decided to start blogging in an attempt to shed light on various topics in mental illness that I felt I had some insights about. It would be easy to give up on life. God knows I’ve struggled enough with this mental illness. But I’ve also had wonderful times and fulfilling moments. It really comes down to what we choose to focus on when we are well enough to have perspective. Since I’m well enough I refuse to let mental illness beat me. And though sometimes it seems difficult maintaining “hope” is one key component to getting well and staying well too. The other key is “resilience” an embodiment of the never give up attitude. Regardless of the circumstances fight for your life and beat mental illness. Back in 1999 I was first diagnosed with Bipolar Disorder. I came into the mental health treatment system in crisis. There were a multitude of reasons why but the bottom line was I was hearing for the first time I had a mental illness and I was feeling as if I was being labeled with some kind of curse. Of course years later I came to realize the proper diagnosis was a critical step in the recovery process and though I did not want a stereotypical label I did need the diagnosis. Now I know there are other types of diseases where “labels” negatively affect the person who is ill, (AIDS is one of those diseases that come to mind) but I can only begin to explain how terrible it feels to get that label. What should have been a time to focus on understanding the diagnosis became a time to come up with all the reasons why it could not be right for me. You see I had to learn how to accept this Bipolar diagnosis and come to terms with the negative affects from becoming a part of a population of people with illnesses that are largely misunderstood by the general population. I can’t tell you how many times I cried about my diagnosis. The energy I expended resisting having bipolar could have far better been applied to getting well. The insight I gathered over time helped me to peel back the layers of complexity involved in accepting a mental illness diagnosis and subsequently focusing on wellness instead of resisting labels. When I talk to people today who are recently diagnosed with Bipolar or who may have a family member who has been diagnosed I listen to the unnecessary pain people carry because of the stereotypical labels. I try to reinforce the fact that many mental illnesses have treatments today that help people carry on and live healthy, productive lives. All this followed by I know it’s not easy but a proper diagnosis is the first step toward recovery. I wish I could get rid of the negative connotations associated with having a mental illness. But in the meantime I’d say focus on the diagnosis and try to forget about the label. One of the keys to successful outcomes is early detection, so the sooner you have a proper diagnosis the quicker you can get well or at the very least learn how to live with the illness. Labels are harmful but proper diagnosis saves lives!